I grew up with a Siberian Husky. Bandit loved diving into and plowing through deep snow. I often wondered how he’d do pulling a sled. Over the years, I’ve also enjoyed stories with people and dogs, together battling harsh conditions. Books and movies that illustrate an ancient alliance. 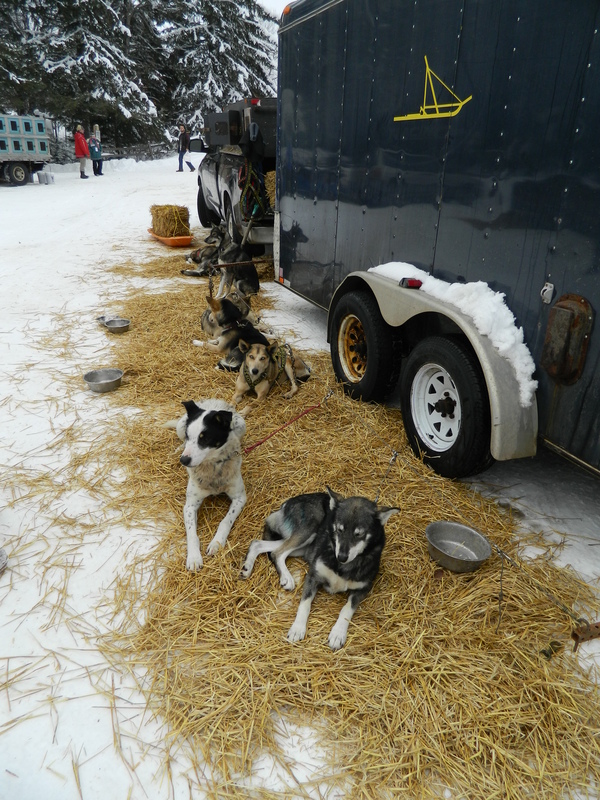 This dogsled fascination compelled me to volunteer at this year’s Gunflint Mail Run. The race is restricted to 300 dogs on 30 dog teams. Hungry teams that are fed by deep pockets, sponsors, and/or creative food sources, like road kills or butcher waste. 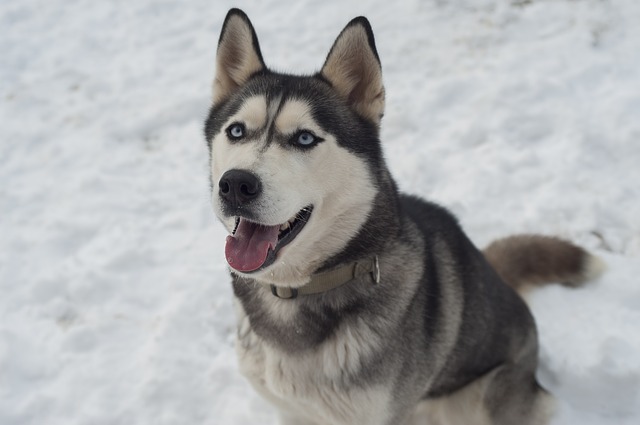 Animal-rights groups often criticize dogsled races as cruel. However, dog abuse isn’t limited to mushers. It’s unfair to condemn all sled dog races, dog shows, or breeders based on a few owners obsessed with glory or money. Using that extreme logic, one could argue no animal abuse would ever occur if we forbid humans from owning any pet. Yet that logic ignores studies that prove human interaction with dogs (or any pet) develops social skills and empathy toward people, let alone animals. As I and other volunteers waited at one of the crossroads, we didn’t debate the morality of pets and animal breeding. Instead, we joked and shared stories around a fire. We were dog lovers. Nature lovers. Lovers of older, simpler ways. When something approached, we scrambled into place. We formed a line that kept the dogs on the main path, or stopped cars or snowmobiles as sleds passed by. To honor each team’s effort, our claps and cheers echoed through the vast public forest around us. 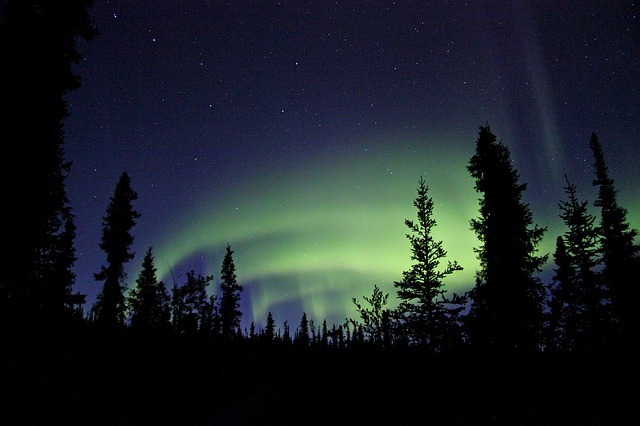 When dusk became darkness, we spotted teams by their musher’s headlamp. A light that twinkled through the trees. 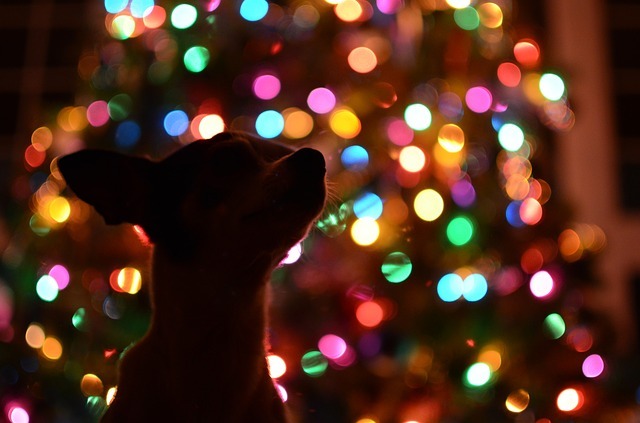 Dogs also wore blinking LEDs or glow stick necklaces. These required safety lights made some dogsled teams seem like moving Christmas trees. A few times dogsleds bunched up as one team passed or gained on another. Other teams were content to race for personal best times, not trophies. All raced to celebrate a unique winter alliance. Two species, united in purpose, hauling a load none could move alone. As teams whooshed by, mushers shouted thanks (for volunteering), or “Haw” and “Gee” (steering the dogs). Once the team’s status was radioed in, cold, quiet darkness returned. In the silence, winds whistled through pine needles, sounding like waves on a beach. Amid these waves, faint northern lights even appeared. Their glow shimmered along the hazy Canadian horizon. After three days along the Gunflint Trail, the dog city, population 300, melted away like a snowman. Gone, until next winter. For fun, I made a video of 2019’s race. I hope all, even critics, can appreciate the bond between a musher and their dogs. Appreciate how teams train and test themselves. Appreciate how an old alliance enjoys a cold, starry night. All book covers and movie posters are from Imdb.com or Goodreads.com. Unless indicated, all photos are taken by Randy Haaland, ©2019, all rights reserved. Should summer smell like rotting fish and algae farts? That’s what I wondered while I was in Fort Myers Beach for ten weeks last summer. During that time, Southwest Florida’s beaches were besieged by red tide. Casualties that washed ashore included threatened sea turtles and manatees, adored dolphins, and uncountable crustaceans and fish. The costliest casualties though, were tourists. Their cash, wake boards, and sandcastles fled to more enjoyable beaches. Jilted residents and businesses went from frustrated to furious. They’re demanding changes. Otherwise, they fear property values will decline. Hotel empires will suffer. Ice cream stands will close. All are legit fears. All because of an invasion of microscopic algae. However, I’m glad my summer stunk. Really, truly, we should thank the algae. We shouldn’t just be grateful that algae’s photosynthesis makes 70-80% of the oxygen we breath. We should appreciate that reeking algae helps identify careless human actions. In Florida’s case, fertilizer runoff in overdeveloped, flood-prone areas (where drainage ditches send fertilizer into waterways, feeding algae blooms). Other human-caused pollution doesn’t cause a stench, so outcry is less. For example, ocean microplastics and rising mercury levels in seafood get little publicity. Thus, red tide’s funky farts and fishkills should be considered a welcome red flag. Not convinced? 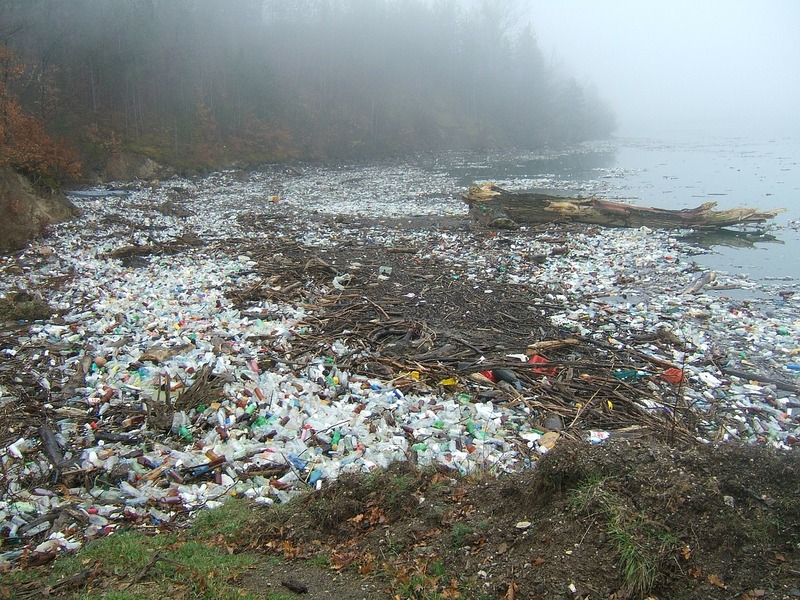 Consider two examples of odorless water pollution. When I returned to Minnesota last fall, gracious friends let me stay at their island cabin. There, majestic bald eagles circled and perched in the tallest Norway pines. They watched for prey, preened, and rested. And screeched—a less dramatic sound than often portrayed in movies (my video below recorded three eagles screaming at each other). I’d never witnessed such a scene, despite eagles being common throughout Minnesota nowadays. When I was growing up though, bald eagles were an endangered species. The reason for their decline was their eggs were brittle (breaking in the nest before a chick was mature). Research linked the thin eggs to the pesticide DDT in contaminated fish, a key food source for eagles. Newborn chicks. Photo courtesy of USFWS. Like canaries in a coal mine, dead eagle chicks helped symbolize that DDT harmed humans too (from autism to many cancers). Yet despite early warnings, the nearly odorless DDT was used for decades before it was banned in 1972. Residual DDT still persists in water today, over 45 years later, but eagle populations have recovered. The second sad pollution example is a Minnesota Pollution Control Agency study I learned about last year when I attended Minicon 53. Scientists found widespread trace pharmaceuticals and chemicals in sampled rivers and lakes, including a remote Boundary Waters Canoe Area lake. The data led scientists to several surprising culprits, one of which was sewage pond evaporation that spread contaminants via rainfall (click to read an MPR article, or the actual report). Minnesotans would riot if our abundant lakes, streams, and rivers suddenly were putrid. But trace water pollution rarely has a distinctive smell. Rainfall pollution also has stunning implications, just as acidic rainfall does. Yet, no smell, no fuss. Bank accounts or investments suffer. Majestic animals die, such as eagles [four-legged frogs don’t matter]. These three conditions all apply to Florida’s red tides! Therefore, I’m optimistic Florida will defeat the algae blooms attacking its summer beaches. Fresh salty breezes won’t return overnight. But Floridians can’t ignore fertilizer pollution has consequences. They can’t ignore rerouting the “River of Grass” has consequences. They can’t ignore declining tourism. For this kick to our nostrils, thank you stinky algae! If only all pollution had foul odors. 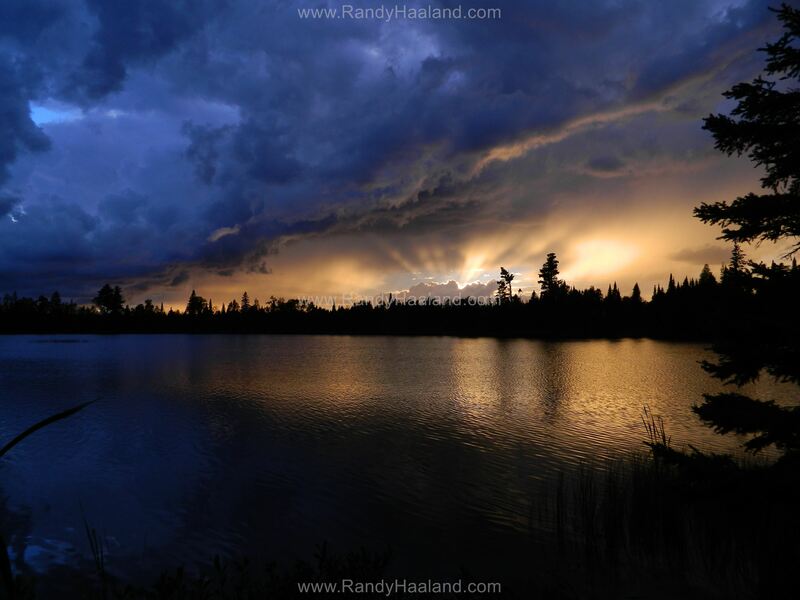 This past week I was honored to learn my sunset photo was chosen in Northern Wilds’ photo contest. The image is featured in their “For the Love of the North” 2019 calendar! I took the photo as the storm clouds blew by an island cabin I was staying on. For a few moments, sunbeams broke through a gap in the ominous clouds. Shutterbugs take heart, you don’t always need a fancy camera. This photo was taken with a simple Nikon Coolpix digital camera I bought for $99 during a Black Friday sale years ago. So the real credit goes to Mother Nature for her picturesque scene. Congratulations to the other winning photographers too! 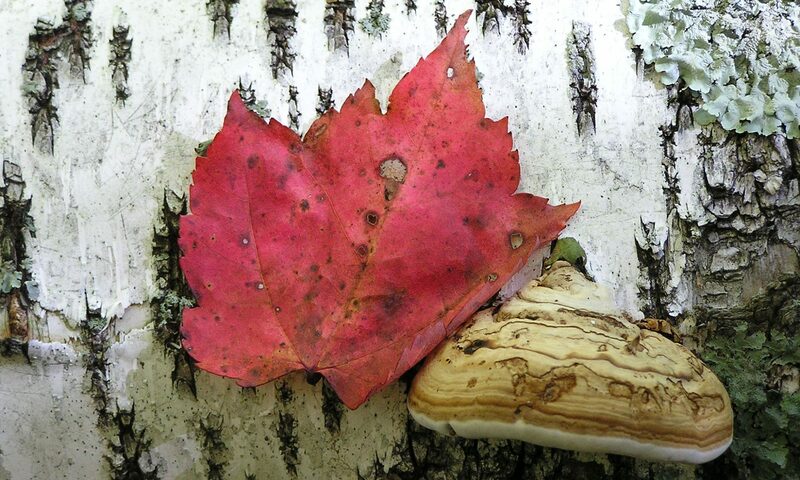 I’m humbled to be among your stunning photos of Minnesota’s Arrowhead and North Shore region. Everyone needs a Rumpus Room. That’s the motto of the always-smiling Bonnie Somdahl. This past weekend she supervised the Rumpus Room area of Minicon 53’s science fiction and fantasy convention. Bonnie’s Rumpus Room is of course inspired by Maurice Sendek’s Where the Wild Things Are. Yet one might also compare it to J.K. Rowling’s Hogwarts School of Witchcraft and Wizardry. There, Gryffindor students melted marshmallow monsters, and Ravenclaws built clothespin fairies that flitted about with a helping hand. Hufflepuffs made microscopes and cultures to study Earth’s invisible realms. Realms ruled by paramecium, volvox, and teeny-tiny tardigrades. Although the latter eluded detection due to the frozen landscape. Even Slytherins had a grand time since discrimination isn’t allowed under Minicon’s Code of Conduct. Their Defense Against the Dark Arts training included lock-picking and Nerf gun marksmanship. Other activities included puppet theater, puzzles, a scientific scavenger hunt, making fancy Czech Easter eggs, an Easter egg hunt, and creating stuffed sock animals. In addition, there was a dog theme this year. Kids made Frankenstein-like pooches using beanie babies in the “Create your own dog breed” session, as well as twisted balloon dogs. There was actual canine training too to help tame any Fluffy. 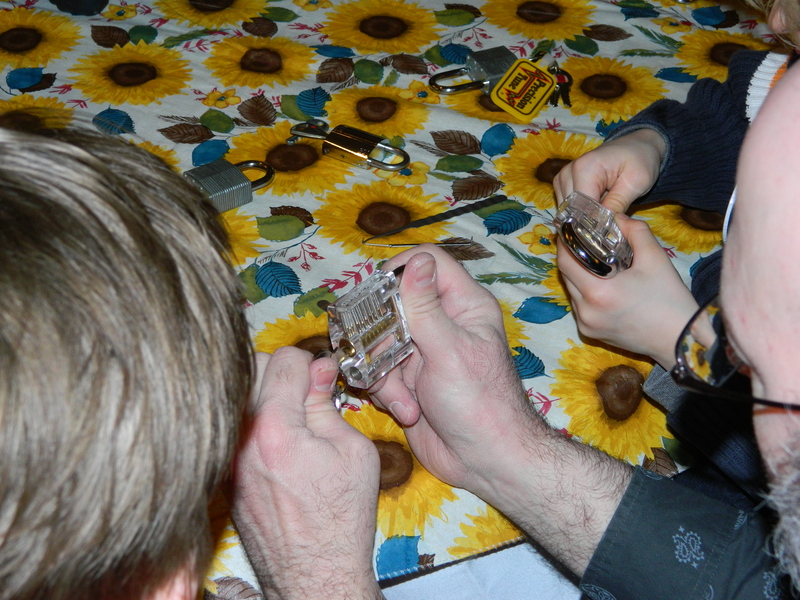 The final class was “Tool Time for Kids,” where kids dissected muggle electronics. 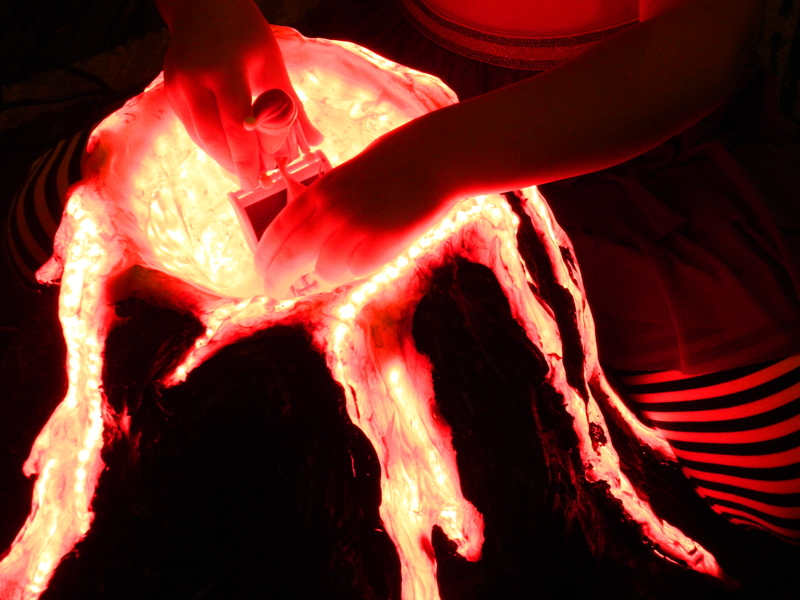 But the Rumpus Room’s energy level peaked when professors made sure anyone who wanted a costume had one. For over three hours, scissors, sewing machines, glitter tattoos, and elaborate braids transformed children for Saturday evening’s costume contest. There, a Klingon emcee introduced Luna Lovegood, Hermione Granger, Spock, Catbus, Kylo Ren, Victor Nikiforov, a duo of Undertale video game characters, as well as Bluebell the water fairy, Jade the tree elf, Mother Nature, and the goddess Queen Rainboom. Adult cosplay grandstanded too of course, but the tykes and teens took home the majority of the showcase’s awards. To fuel this enterprise, similar to Hogwarts’ Great Hall, Minicon’s ConSuite offered endless snacks, beverages, and meals. While supplies lasted, sugar addicts also swarmed a cotton candy machine (all food and beverages are free for Minicon members). How did Bonnie manage this chaos? With a clever system that epitomizes James Garfield’s saying, “He who controls the money supply of a nation controls the nation.” Acting much like Gringotts bank, Bonnie dispensed gold coins to those doing activities, puppet shows, or anything deemed worthy. 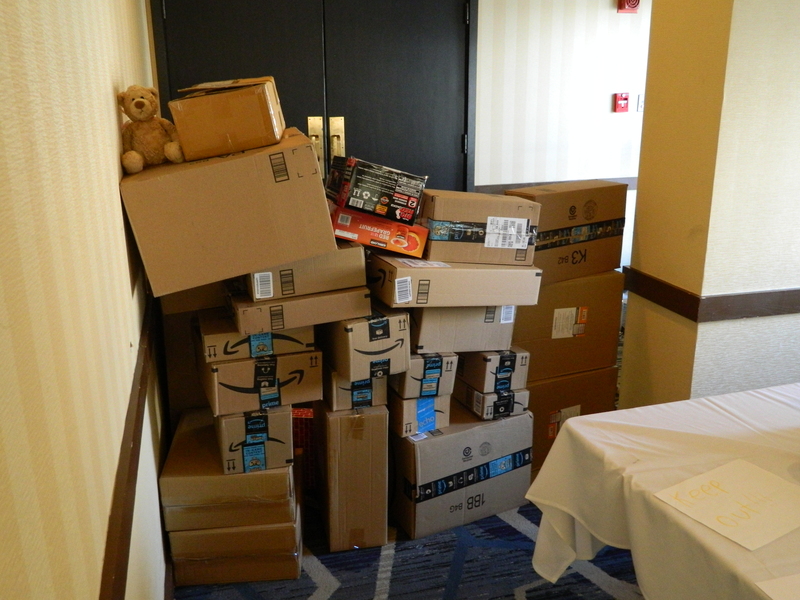 The coins then purchased items from tables heaped with donated toys, activity books, novelties, and art supplies. Bonnie’s always quick to credit the Rumpus Room’s success to her cadre of equally devoted professors. Indeed, of her score of help, some have entertained and educated Minicon’s children longer than she has. Collectively, these faculty embrace “insanity” to create a fun space where all-ages learn and play. This inclusive philosophy has created a bustling area whose population exceeded thirty bodies at one point. By my estimate, ten percent of the convention’s 545 attendees were kids and adults who attended and/or helped the Rumpus Room. This contrasts when Bonnie took charge at Minicon 47. Then, she feared no children would even show up (she could remember only two kids who took part in Minicon 46’s kids’ programming). So, to ensure success, she brought her own grandkids to establish a fun vibe. It worked. Chas Somdahl, Bonnie’s husband and a mainstay professor, described the Rumpus Room as “A con within a con.” In fact, word of mouth brought at least one family to Minicon 53 strictly for the Rumpus Room’s activities. I can echo this sentiment, as next year I already preregistered two children I know I’ll have to drag back home to their parents. Of the kids attending, Luna said, “I like everything. There’s always something to do.” Altin felt the same and said, “I really liked everything.” Some favored the gel decorative frosting though, which went more into their mouths than on their marshmallow sculptures. Free play also thrives—art covered the walls, and Madeline enjoyed building a fort with toy bricks. New friends are made too—one child was heartbroken when a prior Minicon playmate couldn’t attend this year. What’s the Rumpus Room’s origin story? Early Minicons offered a paid babysitter. Sharon Kahn and Carol Kennedy explained the early conventions also had babysitting cooperatives, where parents took turns watching younger children in a hotel room (which inspired a cartoon in Minicon 25’s guidebook). Older children were “emancipated” and allowed to play “stairway tag” on their own. The mention of stairway tag brought a smile to Thorin Tatge. Decades later, he is now a games professor in the Rumpus Room (a welcome break when he’s not cranking out issues of the convention’s Bozo Bus Tribune). Starting at Minicon 31, childcare evolved into “childrens’ programming.” With ups and downs the next decade, Marian Turner became headmistress at Minicon 41. She remained in charge through Minicon 46, bringing stability to childrens’ activities until Bonnie became her successor at Minicon 47. Bonnie and Chas first attended Minicon 32. In the two decades since, Chas has been an occasional panel member and a frequent musician (he’s part of the duo Riverfolk). Bonnie has contributed guidebook art, and was in charge of helping with costumes starting at Minicon 43. Four conventions later, she became headmistress. Her first act was to introduce more structured activities. The following year she rebranded “Kids’ Programming” into the all-ages “Rumpus Room.” This past weekend, her seventh consecutive year in charge, she became Minicon’s longest serving headmistress. Her legendary dedication includes showing up last year for Minicon’s opening ceremony the day after an emergency appendectomy. Yet, she isn’t superhuman. She isn’t always nice either. Her daughter Guinevere, another anchor professor, cautioned, “She’s the sweetest person until she’s playing a board game. Then, she’s absolutely ruthless.” This dark side might explain Bonnie’s tolerance of toy figures being stuffed into the Rumpus Room’s volcano. If one overlooks her tolerance of toy and marshmallow sacrifices though, Bonnie’s charm, patience, and dedication clearly make her a wonderful headmistress. After 48 hours of imagination and insanity, the Rumpus Room closes. Professors gather their paraphernalia, and the rest is inventoried and packed into totes. All that fun, all that magic, is then stashed in a secret storage locker until its power is needed again. How long will Bonnie run the Rumpus Room? She isn’t sure. However, she plans to groom a successor. An unnamed heir that will ensure the Rumpus Room’s legacy continues. For now, Minicon’s community is lucky to have Bonnie, and a cadre of dedicated professors. They’ve made a special place, even for adults. Although I do have advice for adults who swing by future Rumpus Rooms. Don’t be alarmed if you hear “Wing-GAR-dium Levi-O-sa.” As you float upward, just realize young Hogwarts students often prank unwary visitors with levitate charms. Enjoy the ride, as I did, or improvise a wand and utter a Finite counterspell. But if you dare to venture toward the box castle, carry a shield. This province has ranged weapons, fierce teddy bears, and a “No grown-ups!” policy. For information on past and future Minicons, click here. A shout out to Matt Strait, whose archiving efforts were invaluable in researching Minicon’s five-decade history. My gratitude also goes out to Bonnie and Emily Stewart, who helped make this profile story possible. 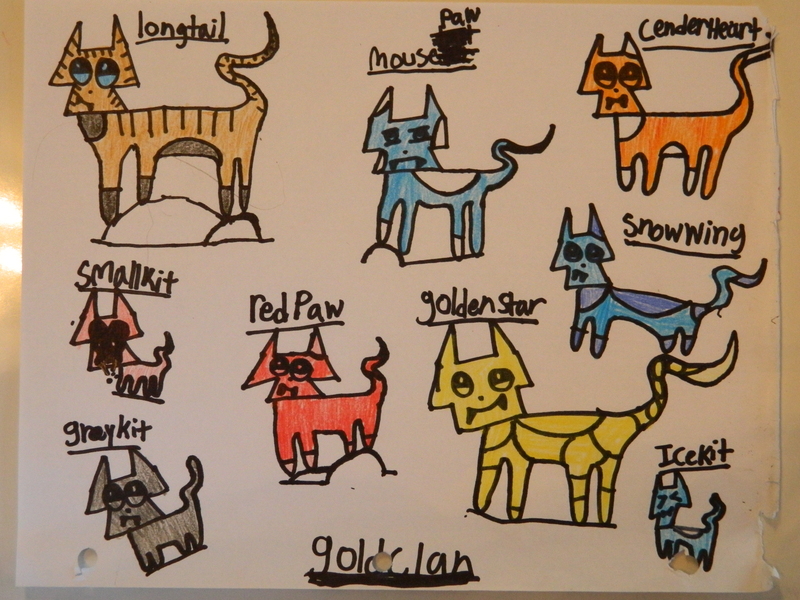 Evelyn is drawing a million cats. She’s well on her way, with a thick binder stuffed with cat art. 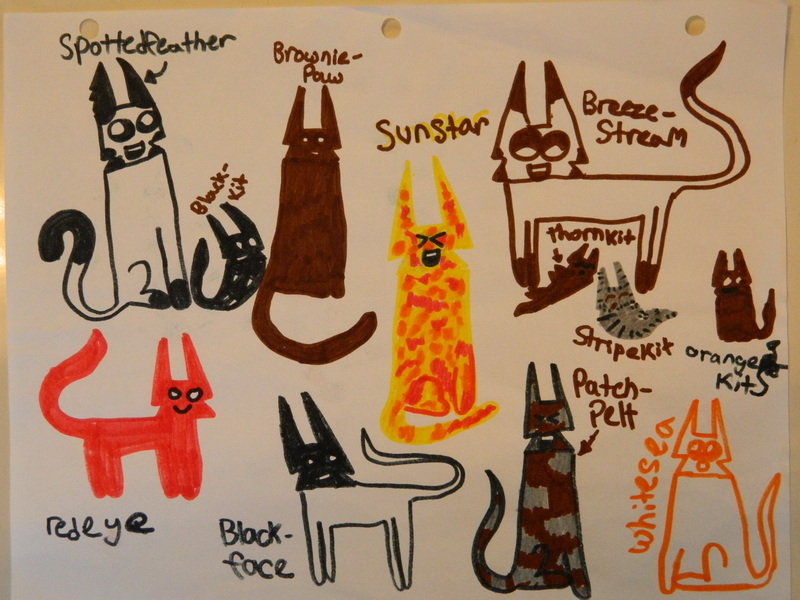 Her drawings have as many as 42 cats (in a “Gathering”), most with a name. Her cats are inspired by the best-selling Warriors Universe series (50+ books, field guides, and novellas). Evelyn writes Warriors fan fiction too, further bringing her drawings to life. But before she writes, she might create elaborate cat biographies, with Pokemon-like statistics for attacks, grumpiness, weakness, special power, etc. 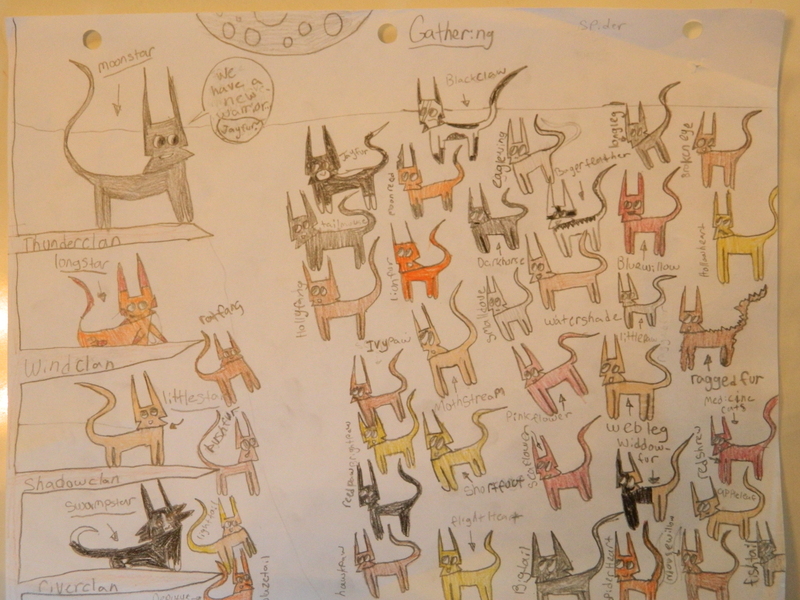 She also draws cat clan family trees to keep track of all her characters, and maps of their burrows. Imagination sets goals that may be impossible, but pushes one beyond what they or others thought possible. Yet, what one imagines often comes true. In fact, we take imagination for granted. Just imagine if no one imagined anything? All our decisions are the result of imagination, however simple. You imagine putting on socks in the morning. Imagine breakfast. Imagine ruling the an ice cream empire, and so on. Evelyn’s imagination is fierce, like her soccer game face. Like a feral cat’s hiss. Like drawing and naming a million cats. Bold imagination is an admirable trait. A trait I want to highlight in the Fridge Art Museum’s next exhibit below, where Evelyn reads Chapter One of her story “Long Shot” while her 100+ cat drawings flash by. I can’t wait to see her millionth cat. To submit fridge art for consideration, or subscribe to my e-mail list, click here. Izzie is surrounded by countless cats. Most are stuffed animals, but she draws cats too. She also draws other critters, imaginary creatures, and Pokemon. But her true love is cats. Cats of all sizes and shapes. Cats of many colors, with splotches and stripes. Just don’t tell her pet snake, it might get jealous. Imagining things as they MIGHT be is a skill kids excel at. Adults, not so much. Maturity tends to censor imagination. Don’t get me wrong, Izzie’s realistic and fantasy drawings are awesome too! But the middle ground between reality and fantasy is a cool place. An imaginative place where one asks, “What if…?” and the answer might come true. So, in the spirit of reminding us all to imagine things differently, The Fridge Art Museum’s next exhibit is Izzie’s “Cats & Critters.” Enjoy, and be inspired to make your imagination real. Some might ask, “What’s fridge art?” To them I reply, it’s kid art that’s temporarily displayed on refrigerators, but also on walls, doors, or you name it. Often, the sheer quantity of drawings requires archiving in beloved binders or boxes. 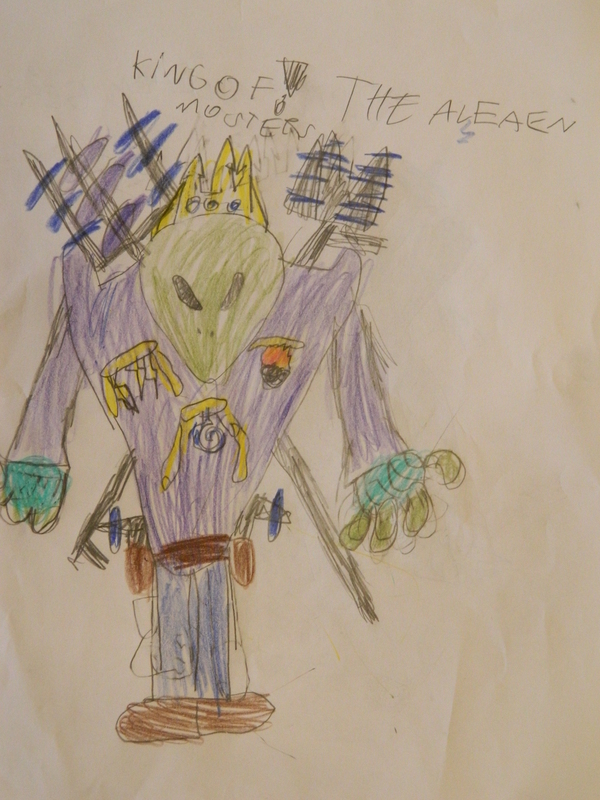 Clearly, Kevin LOVES to draw monsters. In a classic example of “art begets art,” he created a monster guide inspired by Fantastic Beasts and Where to Find Them (a movie based on a fictional compendium in the Harry Potter series). His 200+ monsters, mashups, and phonetic spelling will bring chills and chuckles to all but the hardest of hearts. However, the faint of heart and young children may not sleep well if they view his art alone, in darkness, with howling winds scratching at the windows.